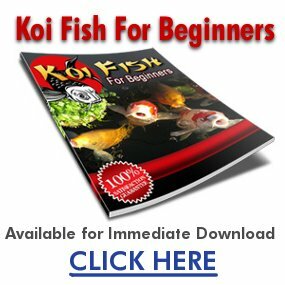 Hey there breeding Koi can be a great thing to do and its amazing to see your Koi develop but when it comes to breeding Koi there are a few things you need to know. You may already know but it is important to say that the best months of the year for breeding Koi are from the months of April all the way up to July, these are the best times for Koi mating. This has been proven by studies and from my own experience this is the best time for mating. So when you have chosen your favourite Koi to do the mating the next thing you need to do is to make sure they are sexually mature, A sexually mature Koi is usually around 9-10 inches long. So now what you need to do is to take the Koi you have chosen and put them in a seperate tank away from your main herd of Koi. The tank that you put them in needs a few specific things for them to mate successfully. So the first essential thing your Koi are going to need is a place to lay their eggs. You can use branches or pond grass will do the trick. You can also make your own by tying a piece of nylon rope to a piece of floating plastic. The next thing that is extremely important for your newly born Kois survival is that they get lots of fresh oxygen in the water. I recommend buying a pump or water feature for your breeding pond. So when it comes to getting oxygen to the koi a pump or some sort of water feature will work. So take these step in the future and you should be on your way to great success when breeding Koi. Wait! Before you start breeding koi stop & read this breeding koi information today.